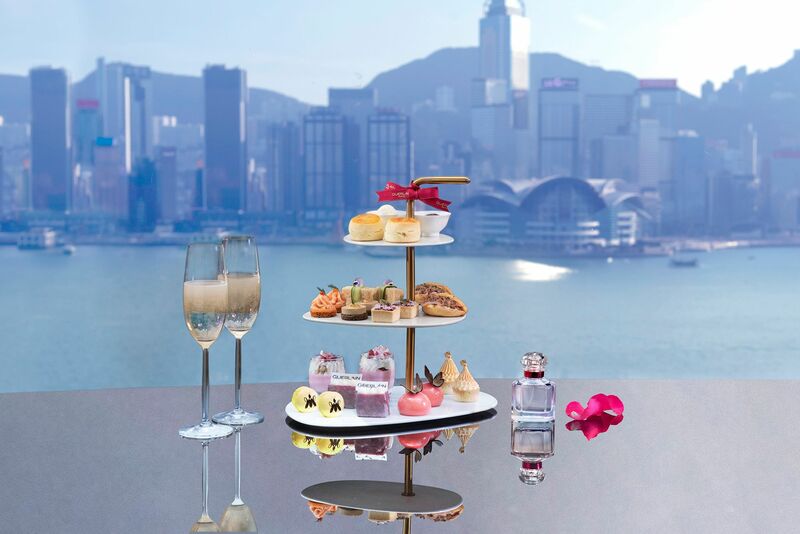 The Bloom Of Rose champagne afternoon tea is priced at HK$338 per person and is jointly presented by Sheraton Hong Kong Hotel & Towers and the legendary skincare and perfume brand, Guerlain. Inspired by Guerlain’s recently launched Mon Guerlain Bloom of Rose Eau De Toilette perfume, the culinary team at Sky Lounge has crafted an enticing range of French delights that play on the essence of the new fragrance. Highlights include the nutty coconut and lavender bar; a smooth and refined vanilla raspberry dome; rose panna cotta; delicate Guerlain bee vanilla macaron; and refreshing lemon tart with yuzu marshmallow. Savoury morsels include the rich foie gras topped with fig jam; duck rillette baguette; blue swimmer crab sandwich; smoked salmon mille feuille; and beetroot salad.